Lars Von Trier is back on the Croisette this year with The House That Jack Built, seven years after the Melancholia's press conference debacle, that earned him a persona non grata status, which was recently revoked (although the film is being screened out of competition). I would guess the first reactions his film are eliciting today are exactly what Lars Von Trier had hoped for, from a commercial point of view, and because he just loves annoying people, as well as what he feared, since his film is being seemingly misunderstood after its first two world screenings. We follow serial killer Jack (Matt Dillon, never better) over the years through flashbacks, as he converses off-screen with an unseen figure (Bruno Ganz), going through his "work". It becomes obvious as the film unfolds, that Lars Von Trier is Jack, whom he presents as some kind of monstrous artist, who is allowed to gets away with, well, murder. Indeed Jack keeps mentioning how amazed he is that he never gets caught by the police throughout his killing spree, and the same thing could be said about the director, feted by art institutions the world over despite his increasing provocations. Does Lars Von Trier enjoy the violence he portrays? It's complicated. 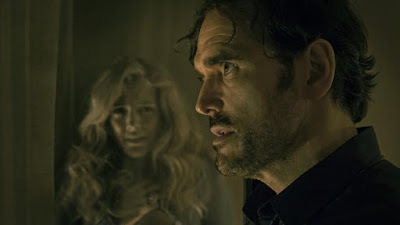 We certainly are not meant to "enjoy" the violence in The House That Jack Built and root for Jack (it'd be a bit like saying we're supposed to root for Patrick Bateman in American Psycho), but the director makes the audience complicit however. The film is split into five sections, each following one of his murders (called "incidents"), and the first one has Uma Thurman (in another star cameo of the caliber of Nymphomaniac) as a "woman in peril" whom he finds on the side of an isolated road, having had a car engine breakdown. A confident woman, who comes across as stubborn and demanding to the point that we begin to find her annoying, just like he does. It is almost as if she is provoking him, inviting him to commit his first crime, the kind of thoughts male abusers have about their victims. This early bait that the director has set works, as an audience member applauded when she gets killed (hardly a spoiler, I mean, what did you think was going to happen?). It is obviously completely the wrong reaction to have, but this scene forces us to confront our own "enjoyment" of violence in horror cinema, where unpleasant characters get their comeuppance. Later on, the centrepiece of his "art" is a triple murder so repulsive that one has to wonder if he is trying to push the limits to see how far he can go, and how far we will follow him. 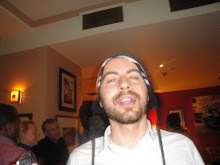 A few murders later, Jack has the kind of talks "incel" have to justify their hatred of women, with all his female victims being described as "stupid". In a rare moment of what seems to be a normal life, Jack has a relationship with a woman who he calls "Simple" (Riley Keough, superb), and his repeated putdowns of the poor woman are nearly more disturbing than the actual crimes, reminding us of how many women have to put up with that kind of talks, in relationships or even workplaces. The film is violent and disturbing, but not quite as gory as one might have expected, and probably not as graphic as Antichrist. It is telling that a scene of disgusting animal violence caused the most audible gasp in the audience, proving yet again that we are often more upset by the plight of animals than human beings. The house that Jack keeps trying to build over the year, then destroys repeatedly before finally achieving it in the most unexpected way is an artist's magnum opus. What follows is a twenty minutes long epilogue of furious inventiveness, totally at odd with what we have just seen stylistically, and among the most striking scenes the Danish director has ever conjured up. As different as the stories are, Lars Von Trier's latest film feels like a companion piece to his Melancholia, with some similar visual compositions, and where the destructive force of depression has here been replaced by a resigned lack of hope. The House That Jack Built is a radical work, the act of self-loathing of an artist who feels trapped in his provocations and the own hell he has built for himself, while at the same time being unable to resist his compulsion to tease. It is a film that condemns abuse towards women in all its forms, but one that he already knows will be misunderstood.